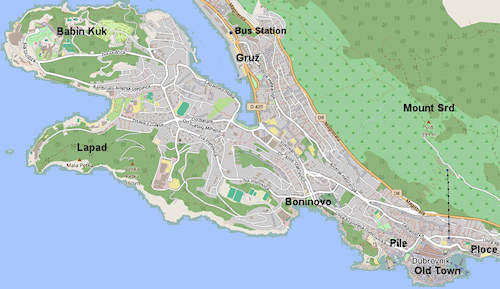 The Gruz neighbourhood in Dubrovnik is one of the most convenient.The neighourhood is defined by its harbour which is the debarkation point of all ferries to and from Dubrovnik. 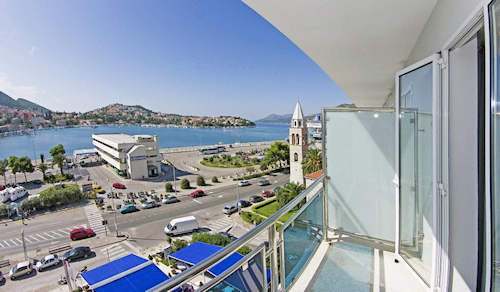 If you're taking a bus to Dubrovnik from the airport or elsewhere you'll also be close to your Dubrovnik accommodation as the bus station is right nearby. Gruz is also ideal for cruisers as all the large cruise ships embark and disembark in Gruz. Plus, you'll find stores, a market, car rental agencies and a tourist office lined up for your convenience right along the harbour. 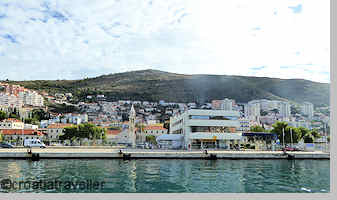 You could walk to Dubrovnik's Old Town but most people take one of the frequent local buses. You're also in a good place to take day trips to the surrounding islands--Mljet, Elaphiti--as the boats leave from Gruz harbour. Parking is also easily available. Here's a tip: If you arrange for accommodation on arrival, be aware that the streets rise steeply behind the harbour. You could be very close in terms of distance but still huff and puff to your room if you're carrying luggage. Here are the Gruz rooms and apartments rated most highly by visitors on booking.com. All are easy to access. 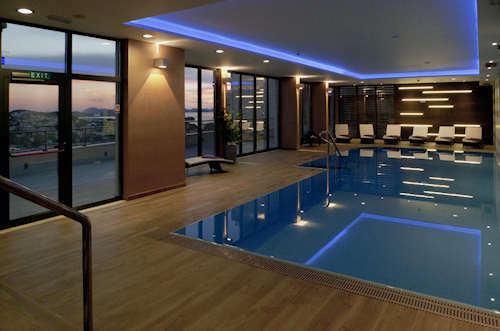 With a small pool and sun terrace, this is excellent value. Spacious three-bedroom apartments with balconies make this an excellent choice for families. Studio, one, two and three-bedroom apartments some with sea view or private terrace.